Searching for an unforgettable midweek holiday? Whether it’s a few special days with the kids, a girly getaway or just for a moment of peace for two, Log House Holidays is the perfect luxury and eco-friendly holiday destination with something to suit everyone. With 8 traditional log cabin houses carefully located around our 130 acre Cotswold nature reserve, you’ll fall in love with the views and you will enjoy total seclusion during your midweek getaway. 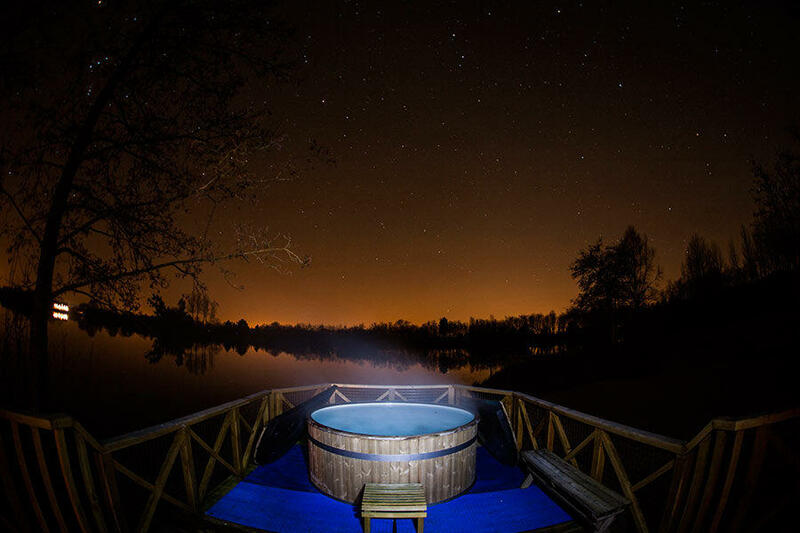 Monday to Friday never has never been so exciting; book your stay with us and simply kick back on your private decking, unwind in your hot tub overlooking the lake, or enjoy a mini adventure in your own private rowing boat. Whatever you choose to do, our lakeside log cabins here in the Cotswolds will help to create an unforgettable midweek break for any occasion. Each of our 8 luxury holiday houses boast open plan living, contemporary designed kitchens and stylishly fitted bathrooms to make your stay as lavish and opulent as possible. We’ve created a home from home so that you can cook up delicious feasts for the family or relax by the fire with a good book from your mini library. And our accommodation is delightful all year round; picture yourself getting toasty around the outdoor fire pit in the winter, or enjoying BBQs and a dip in the hot tub in the summer from your private beach. Whatever time of year you book your midweek break, the gorgeous lakeside sunsets and the wonderful surrounding nature come as standard. 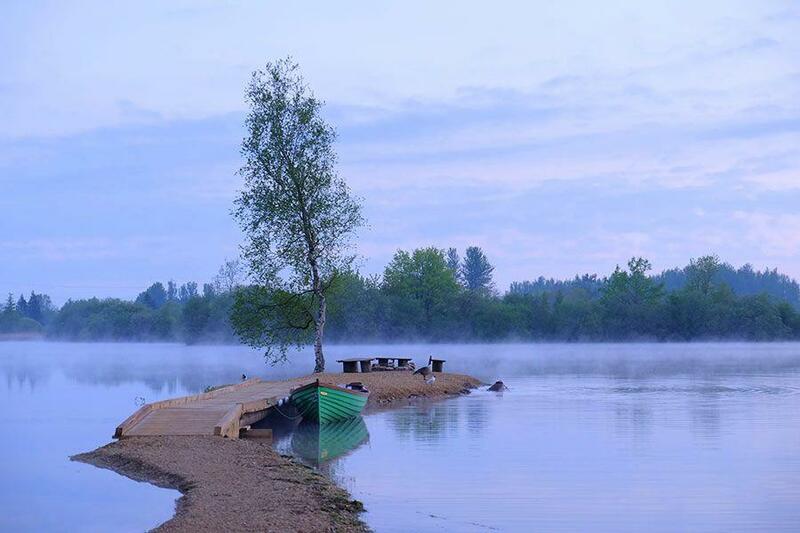 From walking the lakeside trails and wild swimming in the clear spring-fed lake, a spot of fishing or exploring its hidden bays and coves to playing sports on the 4 acre playing field, our special nature reserve offers an endless choice of things to do on holiday. We can even help you arrange bike hire and kayak hire so you can enjoy an active holiday during your time here. If you’re lucky, you may even spot our resident otter family from the comfort of your steaming hot tub or whilst sitting around your crackling log fire in the outdoor fire pit. If you want to stay inside, you can cosy up in front of the wood burner, watch a movie, or book an in-cabin spa session to really wind down. Whatever you do here at Log House Holidays, we’ll ensure that you get to do it in style. As well as our 5-star organic spa treatments that can be carried out in the space of your cabin, we can also help you add some extra special touches to make your midweek break amazing and indulgent. Upon request, we can organise champagne and chocolates for arrival. Or if you want to organise your own fun, make sure you check out the handy welcome pack as soon as you arrive or use our Ultimate Guide to the Cotswolds to plan fun and exciting things to do in the nearby Cotswolds towns and villages. The local area is great for dogs and our pet friendly cabins are a great place to bring your four legged friends.